Former Trump campaign manager Paul Manafort is a globe-trotting millionaire with a nebulous net worth who holds three U.S. passports and has traveled under an alias to China, Ecuador, and Mexico this year, all of which makes him a “serious” flight risk, prosecutors said in a court filing Tuesday. Special counsel Robert Mueller and his team are not asking that Manafort and his partner Rick Gates be locked up as they await trial though. Instead, they want “substantial” bail conditions imposed. That call appeared to be answered on Monday when Manafort’s bail was set at $10 million and Gates’s at $5 million. The two men will be back in court Thursday to challenge that. “The seriousness of the charges, and penalties that the defendants face, along with their extensive international connections and financial resources, establish that they pose a serious risk of flight,” prosecutors wrote in the filing. 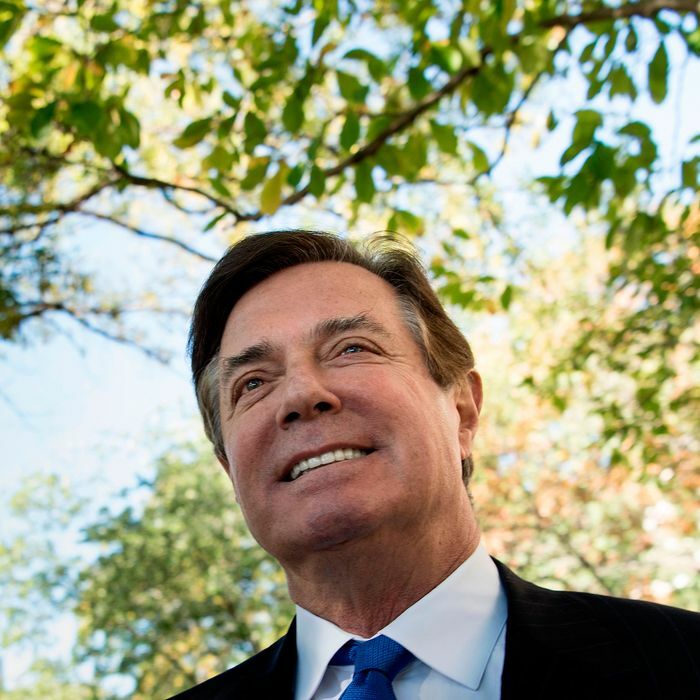 While it was clear to prosecutors that Manafort has a lot of money to throw around if he decided to skip town, they noted the difficulty of pinning down just how much the 68-year-old has in the bank. In the span of six months in 2016, Manafort’s asset claims fluctuated wildly, starting at $42 million in March of 2016 and shooting up $136 million in May. By August, he had either $28 million or $63 million, depending on which financial application of his you believe. The filing noted a couple other oddities related to Manafort’s globe-trotting. In March of 2017, Manafort set up a cell phone and email address with an alias and then traveled with the phone to Mexico, China, and Ecuador in the subsequent months. Then there’s the issue of his small collection of three U.S. passports, which is apparently fewer than he’d like to have. In the past decade he’s submitted applications for ten different passports, the filing said. Now, Manafort has zero passports, after he was forced to hand them over to the courts on Monday. Not that it matters much. Both he and Gates are currently on house arrest as they await their next court appearance.